On my blog I've reviewed two other virtual platforms, so naturally I was keen to get my hands on ICONZ's offerings in this cloud space. 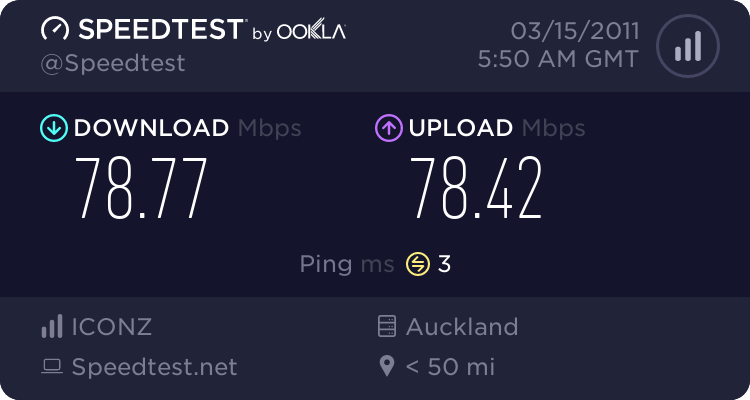 Up until the September last year, Geekzone was hosted in ICONZ's data-centre at the top end of Airedale St in Auckland, so they have the track record of hosting some traffic intensive sites. I will admit straight away that my enquiries in the past to ICONZ, for dedicated hosting, gave me poor specs and extremely high cost (nearly double that of the nearest competitor), so I went into this review somewhat sceptical, however, I was pleasantly surprised. I wish the "pleasantly surprised" started right from the get go, but alas, it started badly. It always amazes me when companies who deal primarily on the internet have such offline signup processes - ICONZ was no exception. The initial signup was online through a form, however after this I had to print, sign and scan back two forms - one was a data-centre application form, the other a payment form (yes a payment form for a free trial) - why do they need so much information? All that is really required is an online signup form, enter your credit card details and the new server should be provisioned immediately. The whole selling point of cloud based offerings is this "instant infrastructure", so should I wish to order a virtual server at 3am in my polka-dotted pyjamas, I should be able to. Once the forms were lodged, the server was up and going pretty quickly. ICONZ were very patient with me as due to my heavy workload at the time, I wasn't able to test the server immediately. The provisioning email I received was great, it had plenty of detail and was nice and clearly laid out. Remote access to the server was through VMWare Virtual Infrastructure Client, a 275Mb download which ICONZ provide. Once up and connected, the vSphere Client allows you to access the server as if you were at the console, start/stop it, mount CDs/DVDs, monitor performance plus a raft of other things. National data is free, and you are able to monitor your international data usage through another portal (see below). I was given 10Gb international, with more data available at $50+GST per 10Gb block. Speed tests below, one national (hosted by Vodafone), the other to LA. Unfortunately I didn't have a chance to really put the server under load, and test its uptime over a month (similar to what I did in the review of Where's My Server). Knowing the reliability of ICONZ and its network, I'm confident that their cloud offerings have the same rock solid uptime. My one hesitation is the contention ratio Versa sits in is not mentioned on the website. The pricing I was quoted was competitive; it's good to see ICONZ management have realised they were really expensive, and have met the market- still, however, expect to pay a little more than the other players in this arena. As mentioned earlier, my biggest gripe with this service is the very manual provisioning. ICONZ need to automate this, so I can easily add/remove servers at a whim, which is where a good cloud platform really comes into its own (against traditional server hosting). It seems so backwards to have such an offline process for cloud services. Other than provisioning issues, it's a rock solid offering from ICONZ, who have established themselves as a big player in the server market. My thanks to Zac and the team at ICONZ for providing me with a test server to review. I'm a big fan of deal-a-day websites. There are plenty of them around, and they let us as consumers purchase a voucher which give product/services worth much more than the voucher. It's all a very tempting proposition for those of us with [insert nationality who are stingy] blood. Today Trade Me have announced their foray into this field with Treat Me. As with other websites they launch (such as Trade Me Jobs and Trade Me Real Estate), they have the magic of critical mass. When you have as many users as Trade Me, it's a no brainer that these users can be tempted into using your other sites, simply by you advertising that they exist. It was this launch today that reminded me of a discussion I had at the recent Geekzone Pizza evening in Auckland. A user there mentioned how a family member owned a large chain of beauty and massage salons. He despised the deal websites as they target a fickle market, eg consumers who are only interested in getting a bargain from any random retailer, and are not interested in becoming a loyal, full-price-paying customer. He would often get customers asking for similar deals at his salons, but at such a low price, it was economically unviable. This got me thinking about these sites from the retailer's perspective. Are these deal websites good promotional tools for retailers, or do they only get you customers until a better deal comes along from a competitor? Are they sustainable, and if not, will these deal sites all die once retailers stop providing offers? I'm interested to hear what you think, add your comments below. This morning I was invited to the Snapper launch in Auckland, on behalf of Geekzone. Wellingtonians are well familiar with Snapper, but it's not yet very well known in Jaffaland or elsewhere in the country. Snapper is a contactless payment system, allowing you to pay for buses, taxis, and at retailers simply by passing your Snapper card over a reader. It speeds up paying for goods or services as there is no need for entering a pin, and the money is taken off the card immediately, so it's perfect for doing payments where network connectivity may not be available. After a mix-and-mingle, we were given a short presentation by Miki Szikszai (@mikiszikszai), the CEO of Snapper, who spoke about some impressive numbers - 160k Snappers out in the wild, 38 million transactions, readers in 400 buses, 2,000 taxis and many retailers (complete media release here). Each attendee was given a Snapper Mini and lanyard, with a $50 balance - a very generous offer in my view. The launch was at No 1 Queen St cafe who already accept Snapper, and we were able to order coffee and food. As well as this we could use our new Snapper cards to get our shoes shined, or order pretzels. It was a great demonstration of how the technology works - I've never used Snapper, so it was really helpful to be able to use one. A great launch and I look forward to using my new shiny Snapper at more and more retailers, as they sign up. All my photos from the event are here. My partner's parents are TelstraClear customers for their home line and broadband. No complaints about service or reliability, it all works well. The real drama is when you try and get in touch with TelstraClear and get services changed or moved. I would buy a lazy boy, a wireless headset, and get comfortable, as it will take forever. Drama 1. Two months ago, partner's parents moved house. Pretty standard procedure really. They forgot to put the order in early enough, so were without service for a week or so, but weren't too worried. 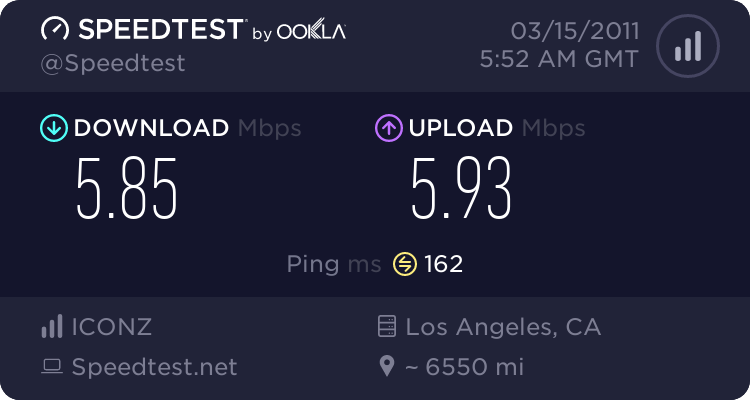 Once notified, TelstraClear proceeded to botch up the move twice, trying to move the non-existent service at the new house, back to the old house (seriously, how do you do this?). No service for a month, a terse phone call (which took 50 minutes) and it was finally all sorted out. A nice credit for the month of new service and we were all happy. I put down the long wait times as something of an inconvenience, but all was fixed. Fast forward to this month, and the wait time is still the same. Drama 2. Toll bar has been dropped from the phone and there's no voicemail. After calling their 0800 again, I'm put through to a customer service rep who is [insert synonym for useless]. 40 minutes to get these two rather simple issues resolved. TelstraClear: I know you've lost your main call centre in Christchurch, however I had dramas before the earthquake. Get rid of your overseas call centre, they are unhelpful, and the call quality is pitiful. Employ more kiwis, train them properly and give us the decent support that your competitors do. Talk to the IRD: get their call back system implemented so I don't have to sit and listen to the piano over and over and over again. About a month ago, a mate was having issues with his webmail provider. I suggested he swap to Google Apps (free edition). Unlike our 3Bit email (Google Apps paid edition), the free edition comes with no support, so I had to figure out the solution myself - a quick search of the Google forums show this is a common issue, and no-one really had a solution that worked. While I wish I could claim some stroke of brilliance, the answer came to me by accident. The issue is, if you don't verify your domain name within the time frame (three weeks), it seems Google disable the administrator account for the domain, which in turn, causes issues for everyone on that domain. The ambiguous error message thrown by trying to login to the cpanel for the domain doesn't help. To check whether your administrator account has been disabled, try logging into Google Accounts. If your account has been disabled, you will be redirected to this help page. I sent an email to Google using the link at the bottom of the page, explaining what had happened, and within an hour, the account was re-enabled, and I was able to login to Google Apps again. I hope this helps save some hours and frustration for anyone else with this issue.